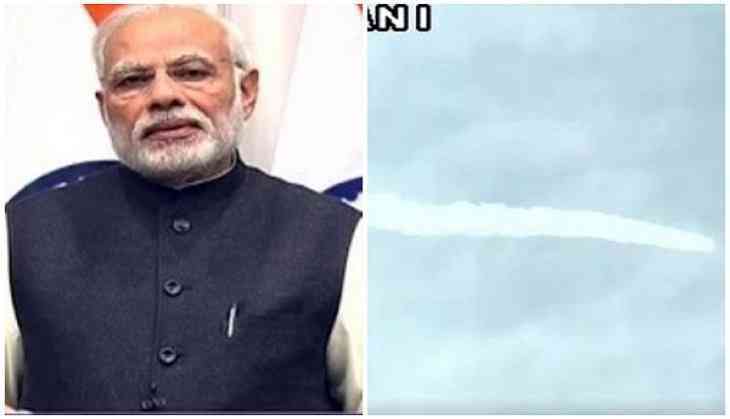 Prime Minister Narendra Modi has congratulated the Indian Space Research Organisation (ISRO) for successfully launching Polar Satellite Launch Vehicle (PSLV-C38) for earth observation from Andhra Pradesh's Sriharikota earlier in the day. The Prime Minister Modi took to Twitter to express his happiness and tweeted, "Congratulations to ISRO on its 40th successful Polar satellite launch carrying 31 satellites from 15 countries. You make us proud!" Congratulations to ISRO on its 40th successful Polar satellite launch carrying 31 satellites from 15 countries. You make us proud! Meanwhile, President Pranab Mukherjee also expressed his pleasure and congratulated the team for their immeasurable efforts. "Congratulations to ISRO team on the successful launch of PSLV-C38 carrying 31 satellites #PresidentMukherjee," President Mukherjee tweeted. Congress vice-president Rahul Gandhi also expressed his elation saying the satellite launch made him proud of the nations' scientists. "Congratulations #ISRO on the launch of #Cartosat2 series. Science in service of humanity-proud of our space scientists for making it happen!," Gandhi tweeted.